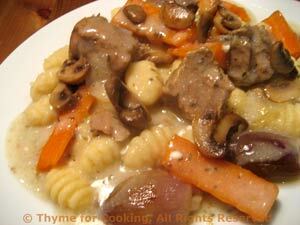 Blanquette de Veau or Braised Veal, easy gourmet dinner recipes. This braised veal dish is classic French cooking, but very easy. Substitute pork if you prefer. You could do this in a slow-cooker; but if you do, add the carrots half way through.